According to a report released in December 2015 by the Office for National Statistics (ONS) the average weekly household expenditure in the UK was just under £500. Multiply that by four and we can begin to get a picture of the total household cost that a typical household in this country has to bear each and every month. The outgoings mount up. Besides the big hitters such as mortgage or rent, there is council tax, gas and electricity, broadband and telephone bills - which could be landline or mobile, or both - and various forms of insurance (house, car, perhaps pet). If you run a vehicle, or maybe more than one, there are fuel costs to bear as well. And of course, don't forget groceries. In some cases, monthly expenditure on food can be as high as mortgage or rent costs. After all of that, there's still a few of the little luxuries that we like to treat ourselves to now and again; a new item of clothing, a meal out, a visit to the cinema. Unsurprisingly, where you live in the UK can significantly affect and influence your household costs. The study looked at 12 regions in the UK. The North East of England had the lowest weekly costs, at £427.40, followed by Wales at £444.50. The most expensive is no shock - Greater London has average weekly costs of £616.30. The South East of England isn't too far behind, on £594.80. The study also broke average spending down into set categories - weekly food spend, weekly housing and energy spend, and average weekly recreation spend. Northern Ireland, at £64, spent the most on food; Greater London, at £109 - nearly £30 more than the next bigger spenders, the South East; the South East topped weekly recreation spend at £76.30. It's a useful gauge to the costing of living in your area, and whether you are over spending or living within your means and budget. For the majority of us, staying on top of our finances, and managing our monthly obligations, takes discipline and organisation. We have to shop for groceries carefully, only buying what we need. We limit ourselves to one or two social events a month. However, life doesn't always - or often - run that smoothly and financial curveballs are frequently thrown in our direction. How would you handle an unexpected boiler breakdown? Home improvements? Could you afford a well deserved family holiday? If your best friend announces plans for a wedding abroad - inviting to attend either an expensive stag or hen do, buy a new suit or outfit and then actually get to the wedding itself - could you cope with the cost? If you can't, you're not alone. 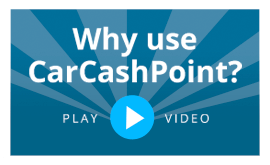 If you do need a short term cash boost, a logbook loan from Car Cash Point can provide the perfect solution. We don't run a credit check, so we don't leave a footprint on your credit history, and we can deliver your cash to you within an hour in many cases. For more information on how one of our loans work, go here.